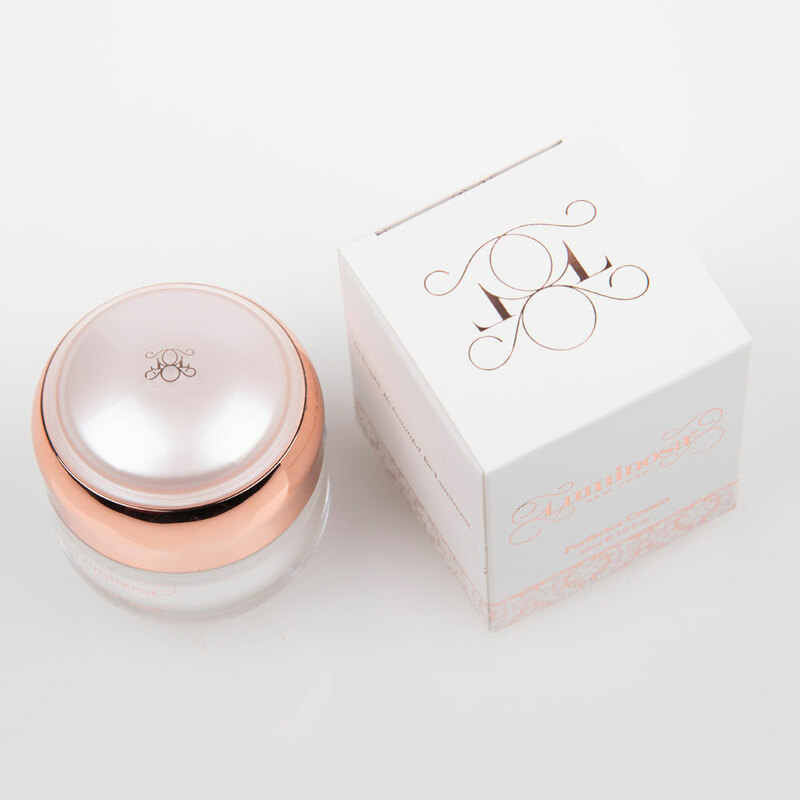 Cosmetic Packaging Design for fragrance, skincare and beauty is second nature to us. 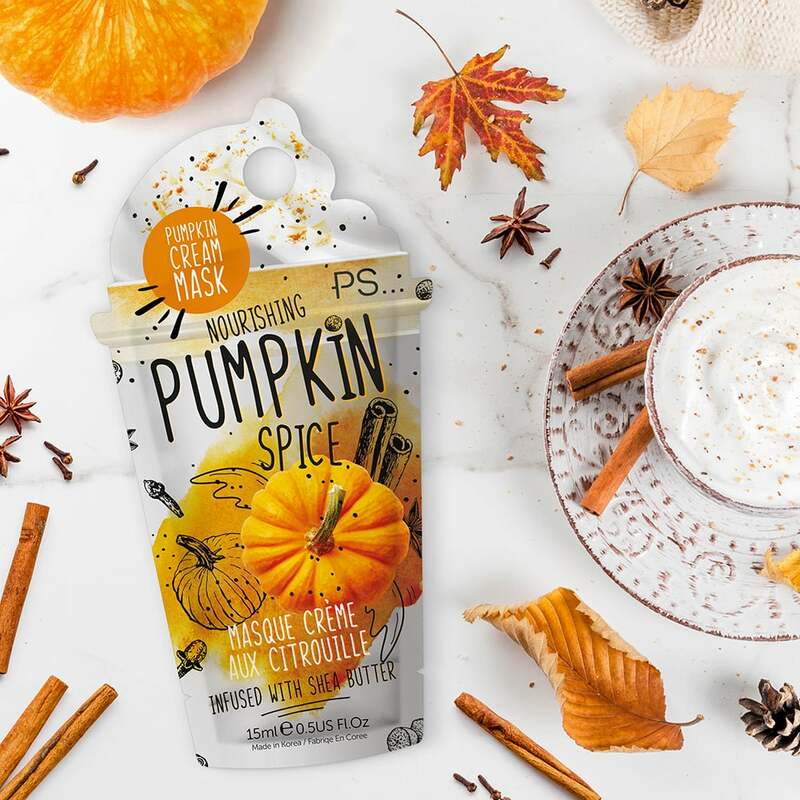 Our team of creatives love working on cosmetic packaging design projects, from creating the brand and then taking the brand ethos into unique packaging and product packaging designs, whether this treatment is encompassed within the shape, finishes, stocks or brand messaging. 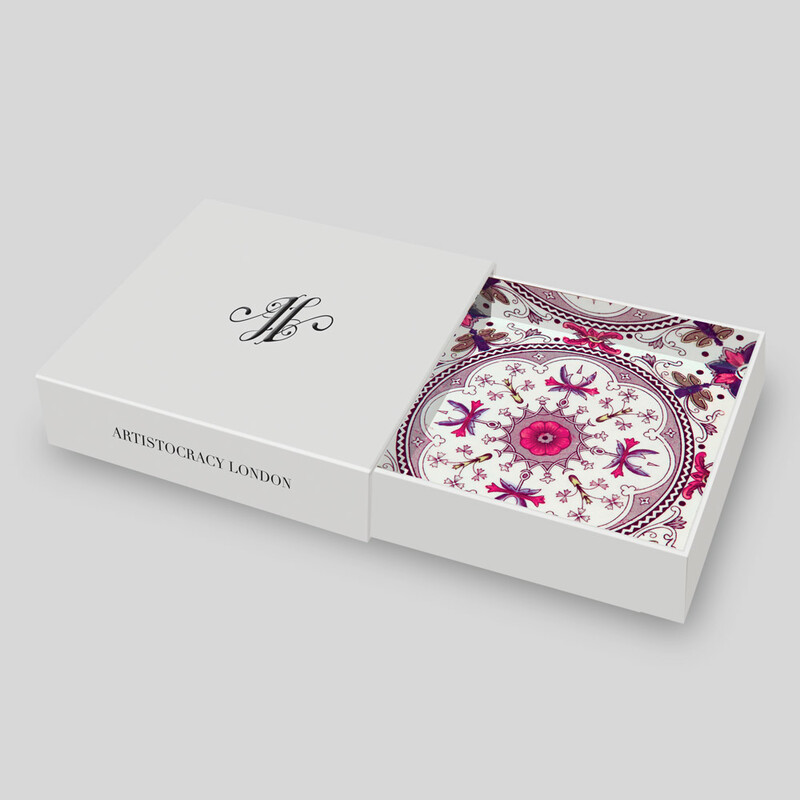 We’ve worked with some of the biggest brands in the business creating beautiful cosmetic packaging design solutions. Some of our clients past and present include; Urban Decay, Hard Candy, Eyeko and Primark. We also love working with niche and start up brands, where we can really get under the skin of the brand and create everything from the logo mark upwards. 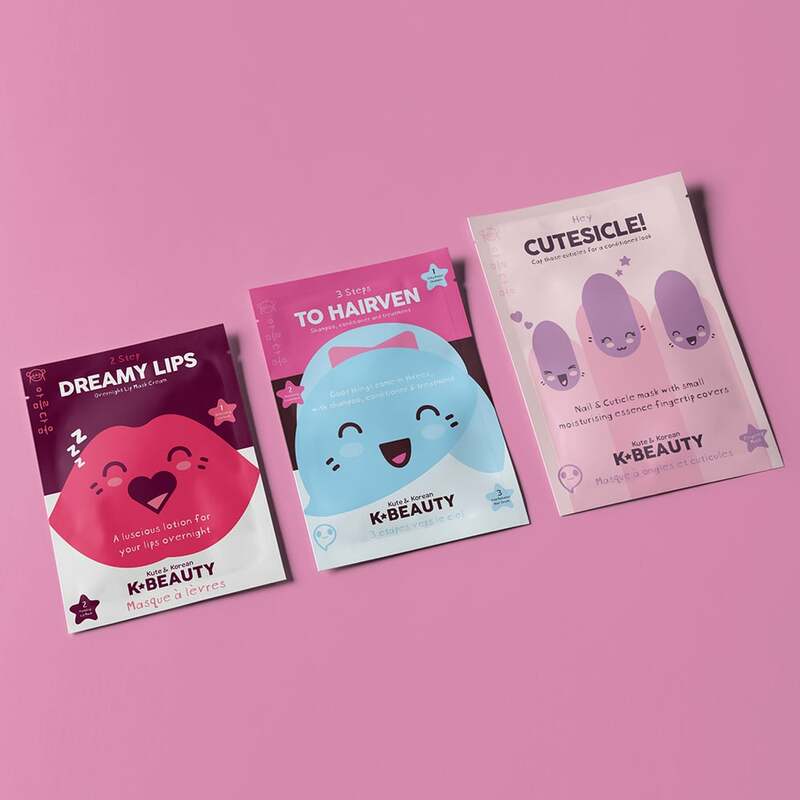 Some niche brands we’ve created cosmetic packaging design projects for include; Luminosa, New York, Doctor Lamia, London, Secret Agent Beauty, LA, and K Beauty, UK. We help create and also launch brands to market through direct, digital and email marketing, alongside advertisement campaigns. 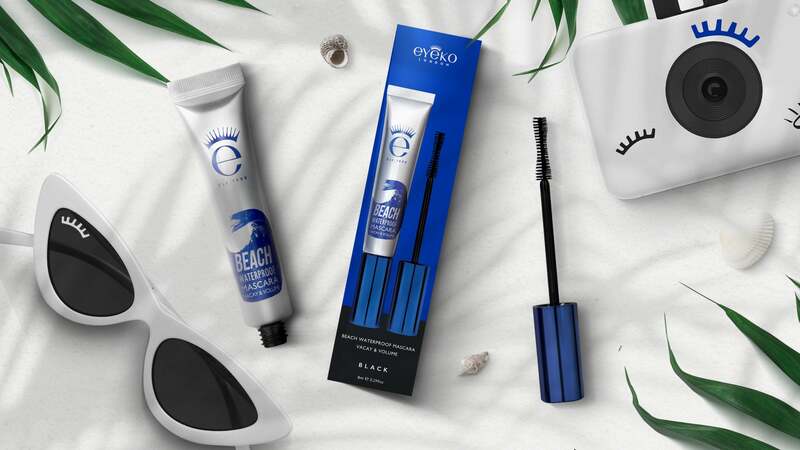 See some cosmetic packaging design examples. 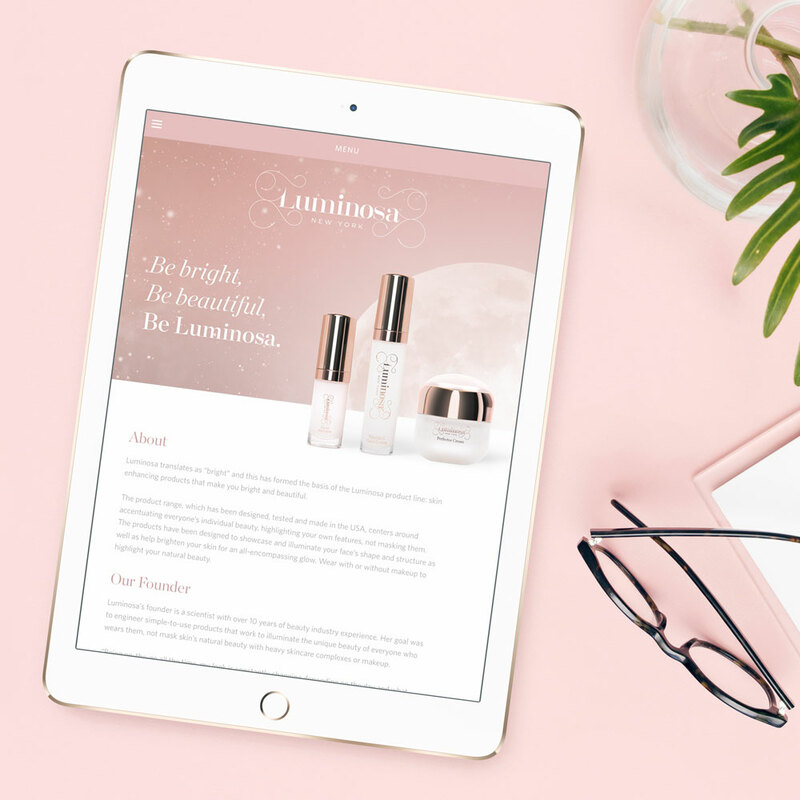 We are multi-disciplined agency, we work with beauty and fragrance brands not only on their cosmetic packaging design projects, but full circle across point of sale, advertising on and offline, photography and marketing. We have direct experience with creating point of sale and pop up displays in major retailers including; Selfridges, Debenhams, Sephora and Collete. 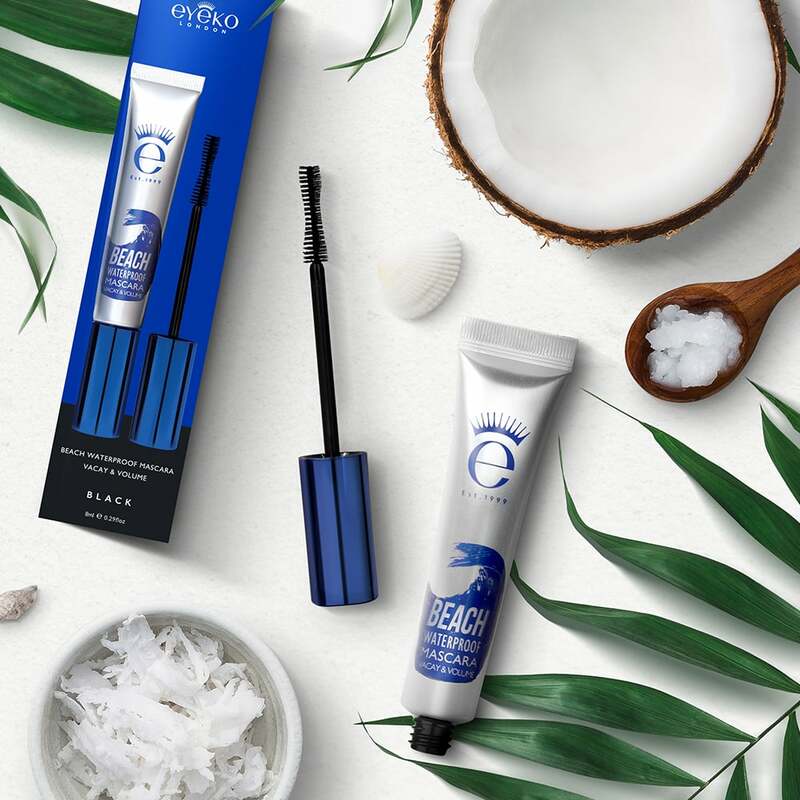 If you have a cosmetic packaging project you are looking for help with, feel free to get in touch with one of our team to discuss your requirements. 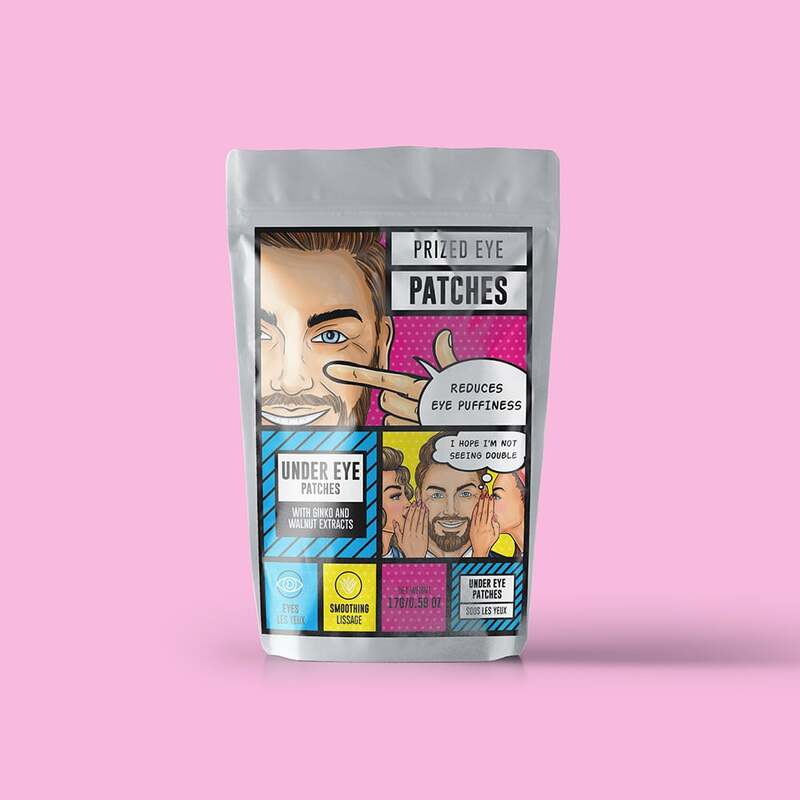 Primark packaging design, for a range of smoothie inspired two step cosmetic treatments. 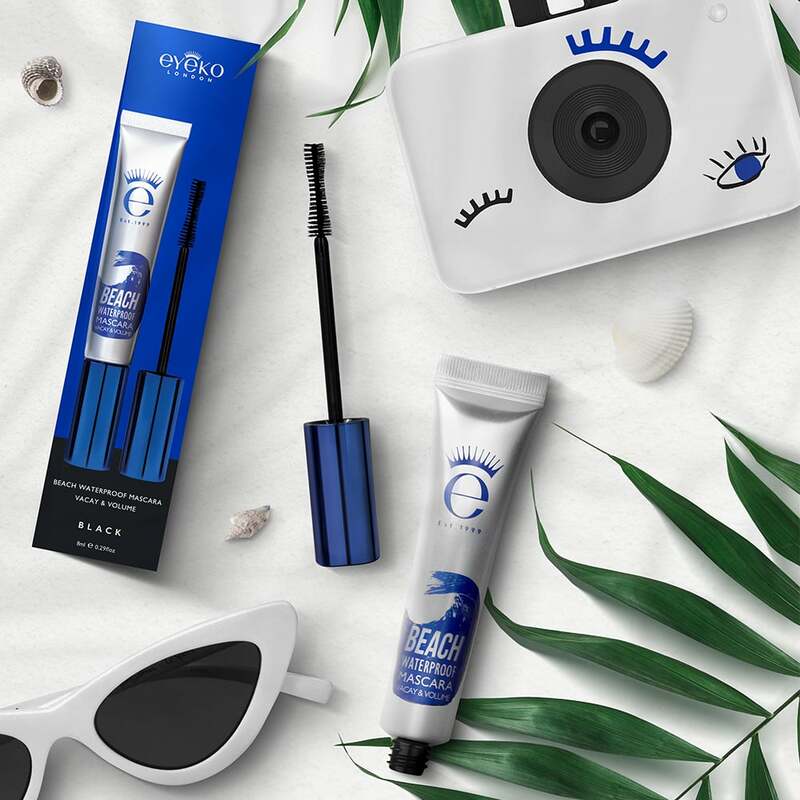 Packaging design for Eyeko Cosmetics. See more packaging design work. 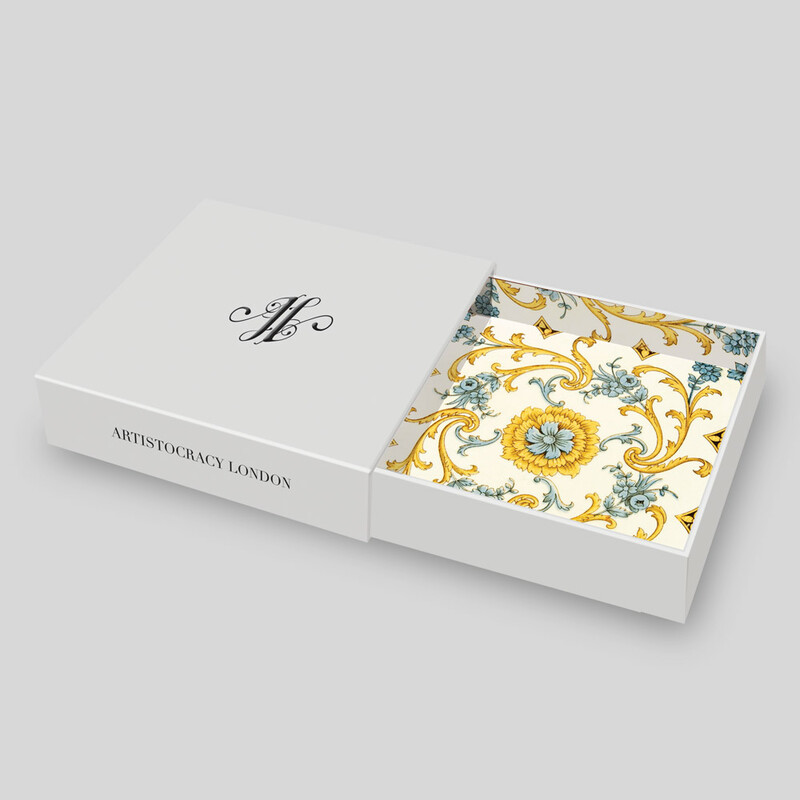 Cosmetics packaging design, for Aristocracy London, featuring bespoke print linings. 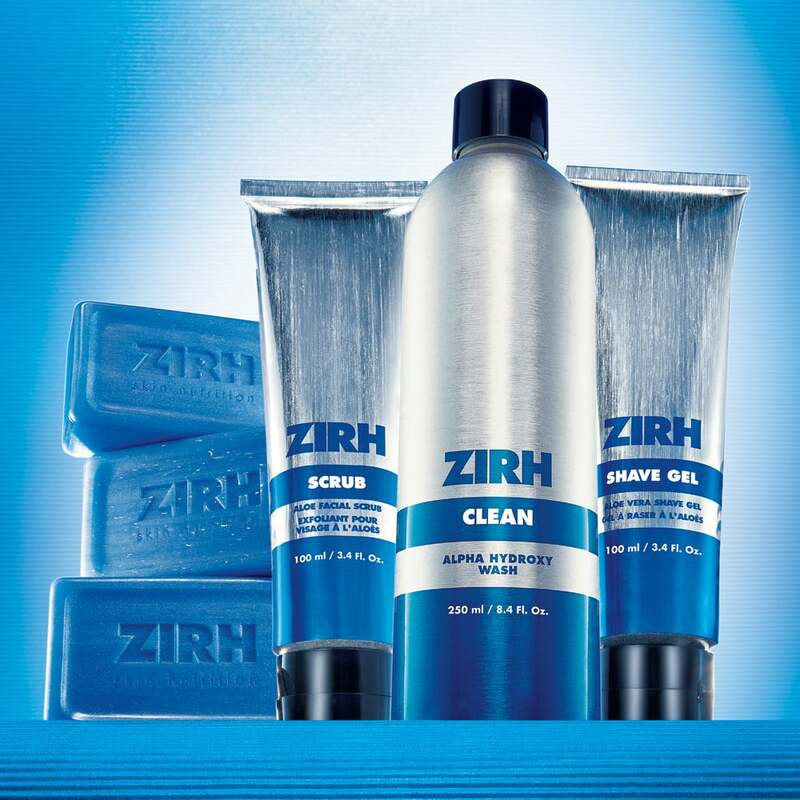 Point of sale design for Zirh mens grooming. 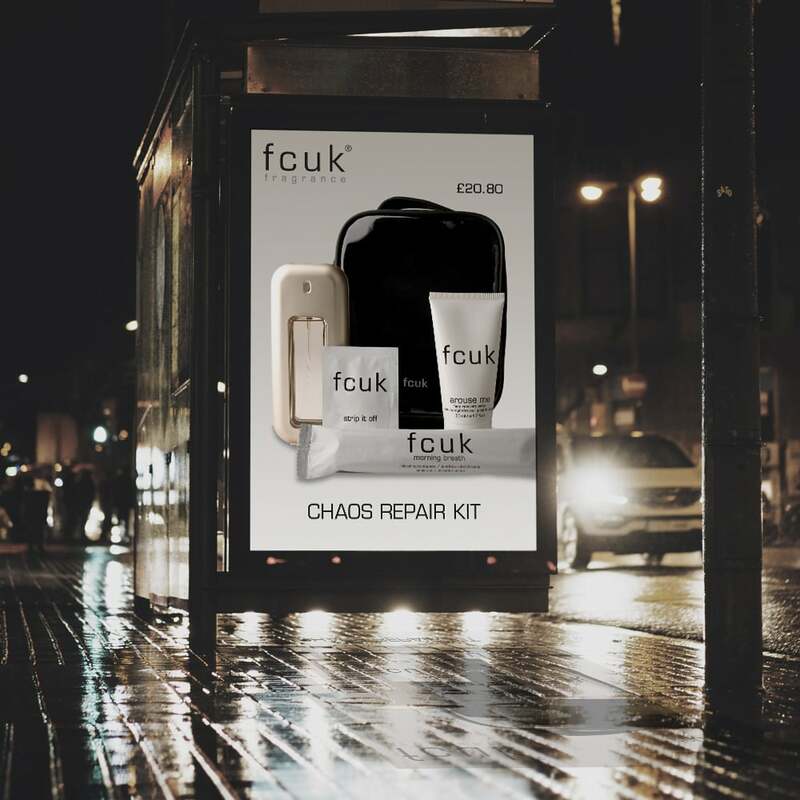 Point of sale and ad design for FCUK Fragrance. 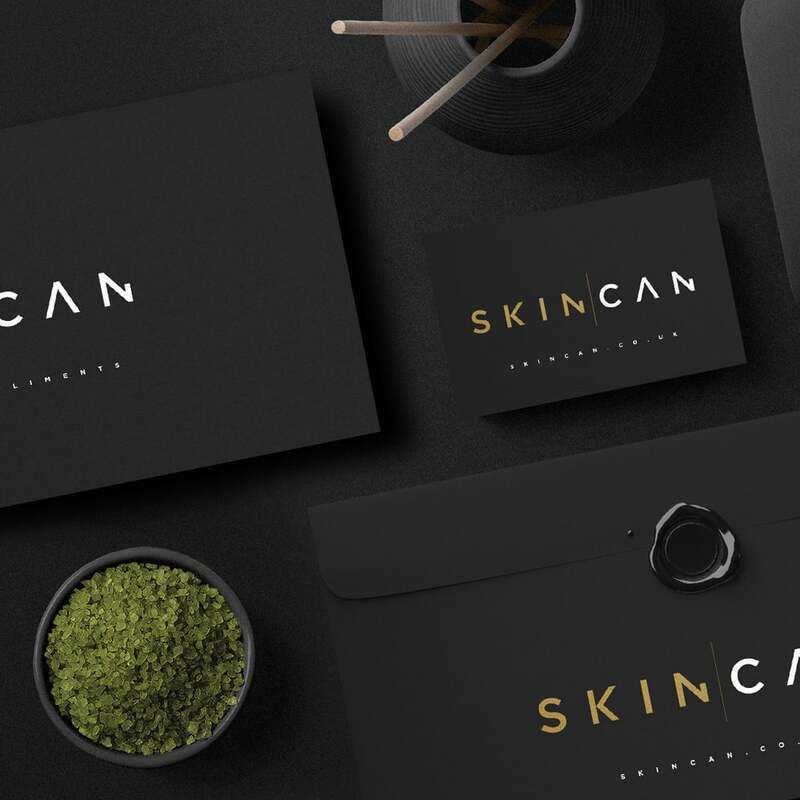 Cosmetics Brand design for Skincan.